Manila is comprised of one of the most diversified populations in the world. There are Filipinos, Spanish, Malayans, Chinese, Americans, Russians, Germans, Indians – you pick an ethnic group and there will be a representative living in this “Pearl of the Orient”. Everyone seems to be a mestizo of some kind, me included. I am part Filipino, part Spanish and part East Indian. My Spanish family (the Zaragozas) can be traced about 8 generations back in the Philippines, originally settling in Iloilo from Spain. My grandfather on my mother’s side was born in Madrid and came to Manila in his very early twenties, probably at the turn of the 20th century. On the other end of the spectrum was my father, a Sindhi. That may be one of the most unique combinations I’ve heard about. This article focuses on my father, whose life seems to compare with a Horatio Alger story, rising up from poor beginnings to become a successful entrepreneur. 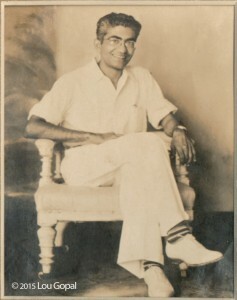 Fatehchand Gopaldas Khanchandani, was born in Karachi in 1911 in the area of Sind, India. He was Sindhi; his family traced their history back to Hyderabad, Sind. My grandfather, also named Fatehchand, was a clerk who worked for the British Northern Railway. My grandmother, Parpatibai, stayed at home to raise their six children. My dad didn’t finish school. According to my uncle Prem, the next oldest and who I am named after, my father went through about 6th grade then left to earn a living as a young trader. Typical of that era, the majority of young Sindhi men in British-held India could either get a menial government job or strike out on their own as traders of some sort. Sindhis consider themselves to be of a social class or caste with a predilection for trading and business. Although college education is considered to be valuable in terms of a better and overall understanding of the world, the young Sindhi man is taken in as an intern and learns the business trade through his father or other male members of the family. Thus the pattern of growth and expansion of the Indian community in the Philippines was like an extended family. And so it was, that my father’s uncle knew of Sindhis in Manila that were looking for young men to help with their business. Below, the young entrepreneurs enjoy a holiday up at Lake Taal – Bhagi Sehwani (far left), Motiram Jatdiani (2nd from right) and my dad Gopal (far right). Gopal, as my father was known, came to Manila in 1931 – just 20 years old. He started working at the Persian Carpet House, one of several Indian-owned businesses on the Escolta. A quick learner, Gopal soon picked up the finer points of retail business management at the Persian Carpet House, located at 49 Escolta. Apparently he was quite a popular salesman and manager because my mother’s cousin, Carmen DaCosta, told me that she and her family used to shop there exclusively, becoming Gopal’s “suki” (favorite customer) and would always ask for him when she was looking for some special cloth or material. Carmen later introduced Gopal to her cousin, Carlota, who eventually married him in 1943. Wanting to start out on his own, Gopal left Persian Carpet House and opened an import-export office in the beautiful, art-deco styled Crystal Arcade. It was at this time, his interests turned to gold, gems, and other jewelry, traveling to Hong Kong, Shanghai, Bangkok and other exotic locales of the Orient, always making sure to send money back home to help his family. In 1939, his father passed away and as the eldest son, Gopal assumed a major role in providing support to his mother and younger siblings. 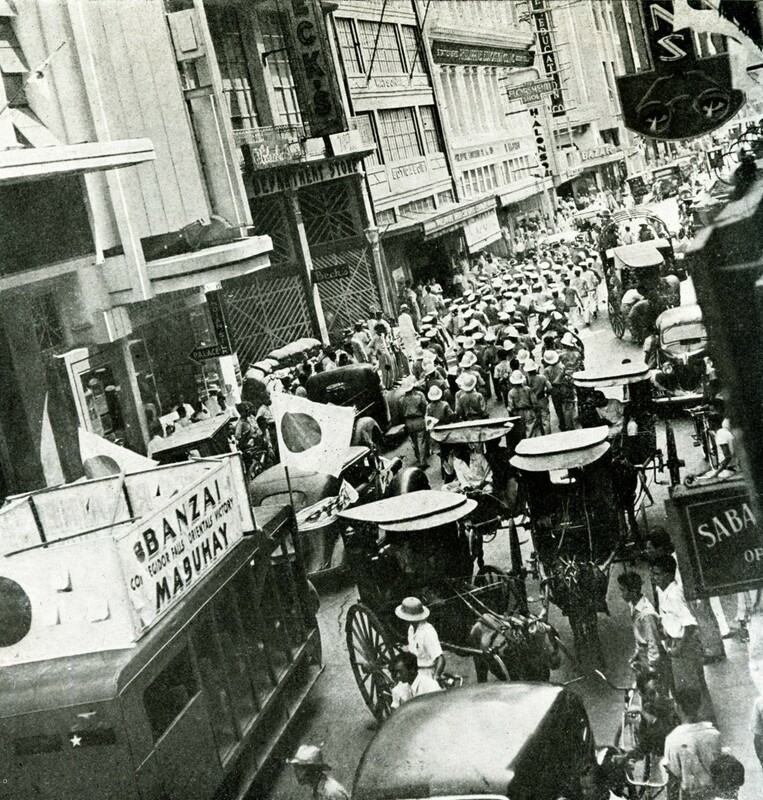 Within three years, the Japanese entered Manila and effectively shut down all American and Allied owned businesses. Shipping trade in the Pacific Far East dropped to a standstill as Japan entered the war against the U.S., Britain and Australia. Allied families in Manila were immediately interned at the University of Santo Tomas. Filipinos, Spanish and other ethnic groups were required to register with the Japanese administration. According to local Indian leaders, the Indian community was compelled by the Japanese to join the India Independence League under threat of having to close their businesses and treated as enemy subjects. Early on during the occupation, my dad bought a restaurant/niteclub and called it “The Bluebird”. It was a fortuitous move. Having a license to operate a restaurant allowed Gopal to buy and store food. Food supplies soon disappeared as the Japanese military started confiscating available stores to feed their own army. Running the restaurant allowed him, my mother and her family enough to eat until the end of the Japanese occupation. It wasn’t much but they still fared better than most. By a stroke of luck, I received an email from one of my Manila Nostalgia readers, Cynthia Osejo. “I believe my grandfather – Fernando Antonio Maria do Rosario was interned there [at Santo Tomas Internment Camp] for a period. He and my family (my grandmother and his six daughters – including my mother) were eventually liberated to the United States in 1945. My grandfather owned a restaurant “the Bluebird” in Manila and was interned after bragging to have “american coffee”. This started me wondering who owned the Bluebird first – was it my dad or her grandfather ? The Bluebird was where mom met dad. She and her cousin applied as waitresses. Inevitably, romance between my mom and dad blossomed and they married in March 1943 at San Vicente de Paul Church on Calle San Marcelino but not before mom convinced dad he had to convert to Catholicism. To appease mom and my very strict grandmother, Gopal was baptized a Catholic. He didn’t frequent the Hindu temple except to attend occasionally with his friends, so it wasn’t much of a loss of faith for him to become a Christian as he didn’t go to church much either. I think his religion was business and his passion was making money. It was a small wedding. My parents arrived at the church in their gaily decorated “dokar”. It was a configuration of a calesa on top of an automobile axle and tires. Gopal looks terrified but doesn’t my mom look lovely ? The reception was much larger; held at a panciteria, perhaps around Plaza Sta.Cruz. The reason I’m including it here is to note that this was March 1943 and apparently the state of things had not yet deteriorated as badly as they would a year later. Restaurants were still crowded and food was available, albeit at a hefty price. 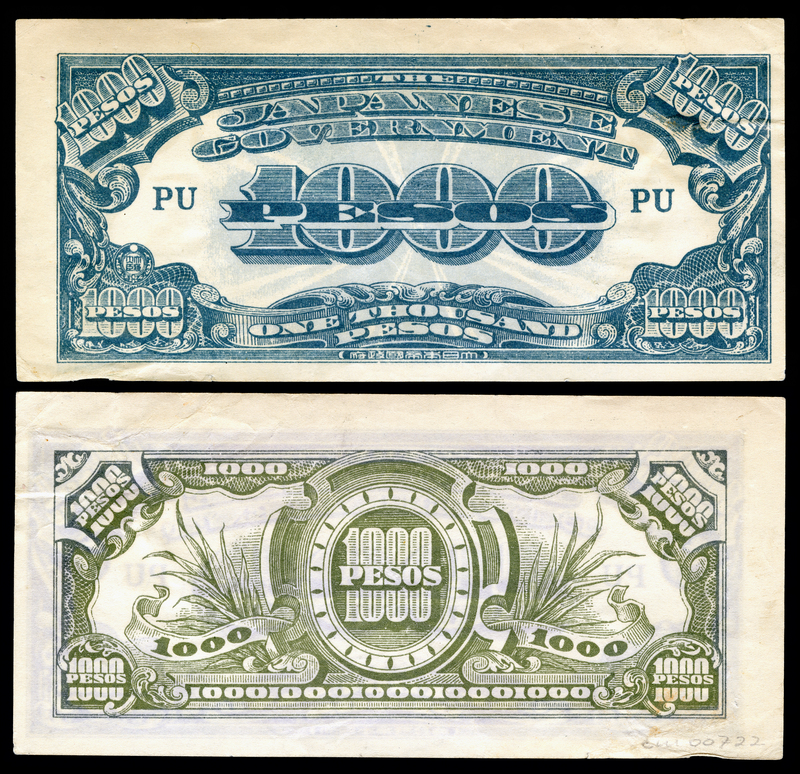 Prices were relatively stable during the first year of the Japanese occupation, but as the military prospects of Japan declined and the Allied submarine blockades were established, inflation increased at an accelerating rate. 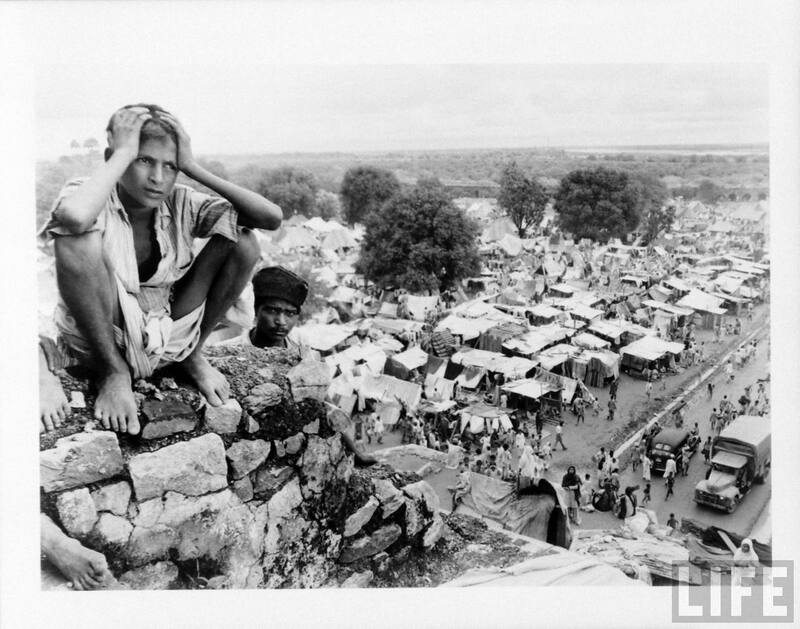 The war affected the import of vital supplies and even basic food items. Locally grown rice, fruits and vegetables, and meat were often times confiscated to feed the Japanese army, leaving the general population to starve. Times were tough and got even harder towards 1944. 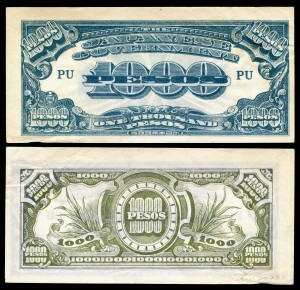 Not only had pre-war export markets disappeared, the Japanese replaced pre-war currencies with military script known as “Mickey Mouse” money. As inflation soared, mom and other family members described how they would need to take a “baul” (bag) stuffed with Mickey Mouse bills to the markets, only to come away with a meager selection of food. General MacArthur finally made good on his promise to return to the Philippines and liberate its populace from the grip of Japanese occupation. My parents were at a brief but moving ceremony which opened at Malacañang Palace at 11:00am Tuesday morning February 27, 1945, where Gen.MacArthur and Sergio Osmeña spoke regarding reestablishing the Philippine seat of government. As the camera panned the crowd, it captured my parents for a brief few seconds. But the horror and tragedy was still to come as Manilenõs tried to avoid the destruction, mayhem and murder during the Battle of Manila. My parents and invalid grandmother were in the Malate area during the heavy firefights that ensued. Somehow they managed to head north to cross the Pasig and escaped to my grand-uncle’s home in the Sampaloc district. It took until March 3rd to clear Manila of Japanese troops. My mom was 8 months pregnant with me so you can imagine her fears as they ran through the streets trying to avoid both Japanese and American gunfire. I was born barely a month later on April 2nd, 1945 at Bambang Maternity Hospital. India and Pakistan partition in 1947. Hordes of crowds crossed the borders – many waited months in refugee camps. In 1947, the British finally released their hold on India. The result was a major division (called the Partition) between the Hindus and Muslims with the creation of West and East Pakistan and with independent India in the middle. 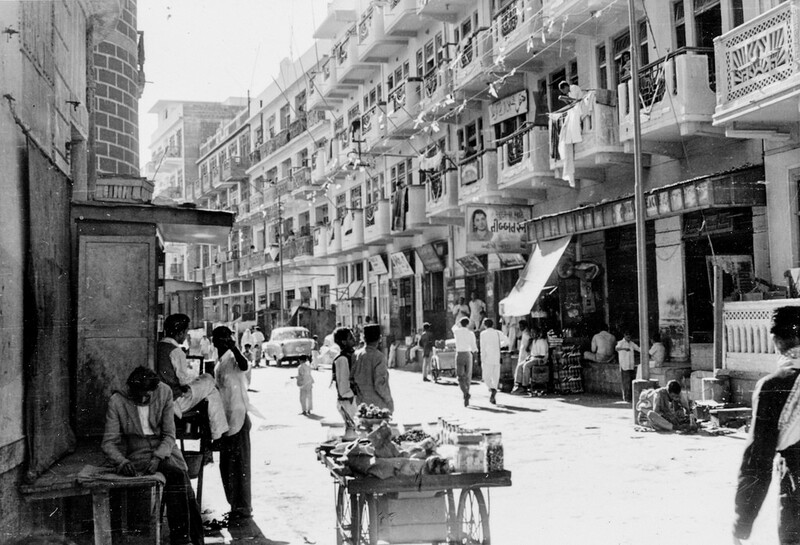 My grandmother and her children had to leave their home in Karachi and move to Bombay. It was a journey fraught with danger and even murder. Both sides were involved in killing each other. Neither Gopal in Manila nor his family in India knew if either survived their ordeals. In 1947, dad flew to Bombay for a long awaited family reunion. He is shown here with his mother and sisters in 1947. My cousin Indra sits on our grandmother’s lap. The partition also resulted in a situation where the Sindhi expats had nowhere to return; the new government was predominately Muslim and not particularly benevolent to Sindhis. Having lived in Manila all this time; Sindhis spoke fluent Tagalog, some of them married Filipinas and had mestizo children like me. They adopted Manila as their new home, many even applying for Philippine citizenship. 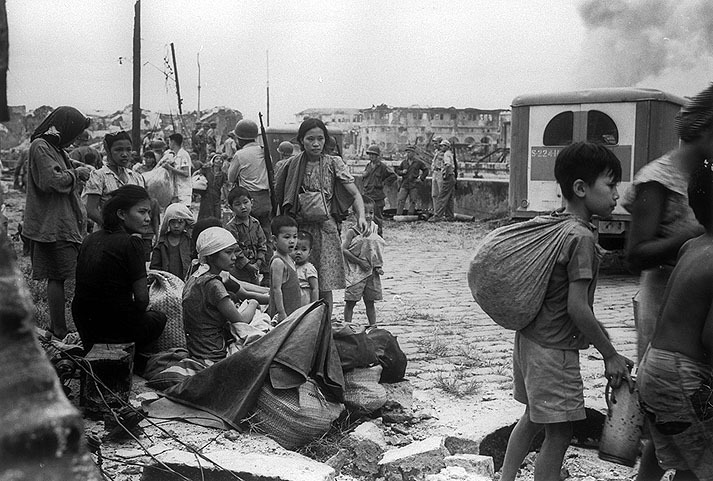 The remaining era of the 1940s in Manila was a busy time of reconstruction. The city and its people faced the challenge to rebuild homes, offices and economies while still mourning the recent loss of their loved ones. Opportunities abounded. It seemed that new shops reopened almost immediately, catering to the local citizens hungry for basic staples as well as the hordes of American G.I.s wandering the city with money in their pockets. In the photo above, businessman Arjan Gurnamal holds me as we stand in front of their store in Plaza Sta. Cruz. Mr. Gurnamal said the store was quickly established right after the war, selling supplies and liquor. Those G.I.s had a thirst ! 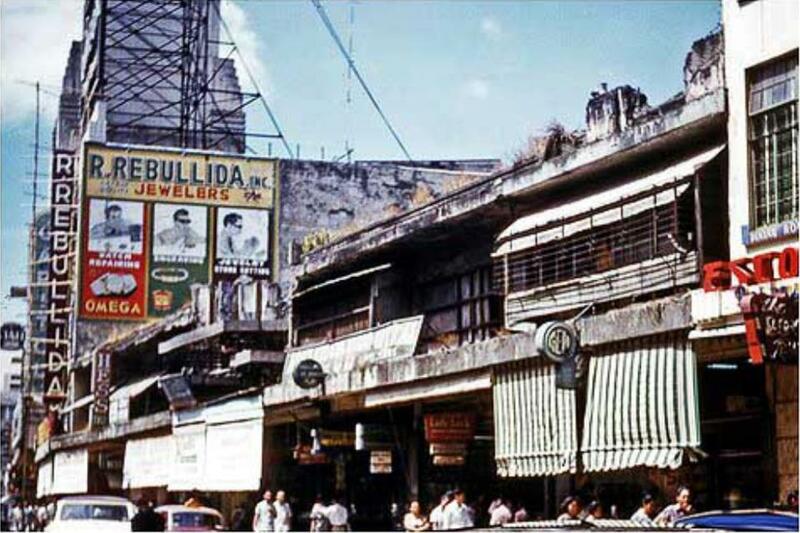 The next three years saw the Escolta cleared of debris and a frenzy of restoration and rebuilding that would again make this famous street the business and shopping center of Manila. The Crystal Arcade where dad once had his office, was almost totally destroyed but an enterprising realtor by the name of Arcache leased the bombed out ground floor into separate retail units. Seizing the opportunity, Gopal selected the eastern end section for his new store, the Gem Gift Shop at 67 Escolta, formerly occupied by the old Roensch store next door to the M.Y.San restaurant and later the Brias Roxas store. The photo below shows that exact location back in 1914. 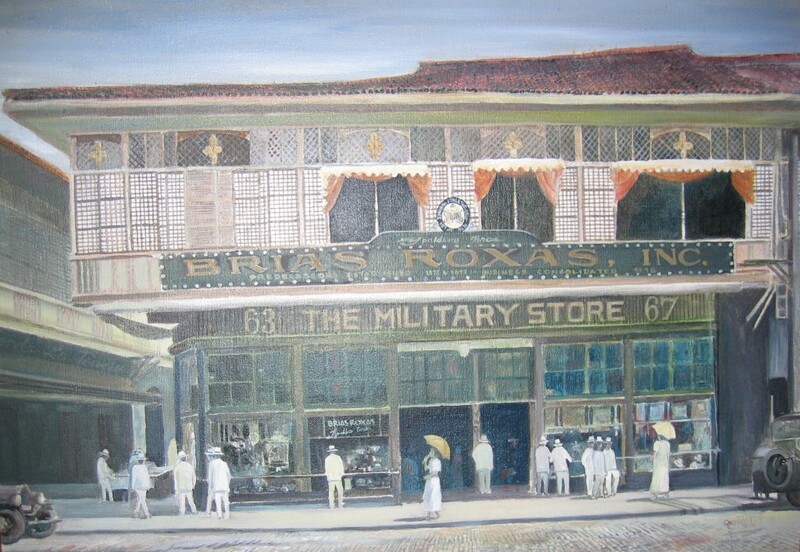 Brias Roxas store at 67 Escolta in the late 1920s. The same location around 1955. Our store is covered by the green striped awnings. Note the M.Y.San added the name Escolta Restaurant just to the right. The top floors of the Crystal Arcade building had been lopped off. You can still see portions of cement structure and rebar above the stores. It wasn’t pretty. The store sold a line of costume jewelry, watches, silver platters and so forth. It was just the right merchandise at a reasonable price point to attract people who wanted to uplift their spirits and put a little “bling” in their lives. The store was a success. Talk about a mom and pop operation, both my parents worked there every day, all day, 6 days a week, taking only Sundays off. This left me either in school or at home being taken care of by my Ilocana yaya, whom I considered my second mother. 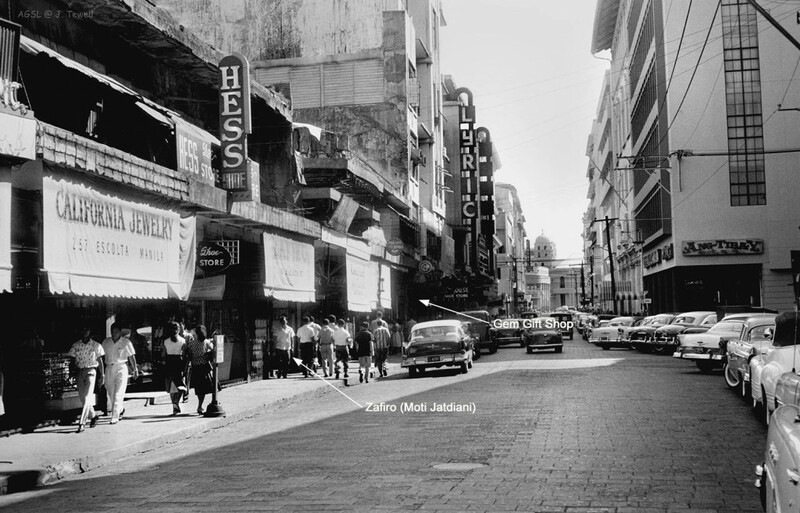 The photo below shows Escolta around 1957. The remaining ruin of the old Crystal Arcade building is still evident. It was later torn down in the late 1960s, replaced by the Philippine National Bank building. Construction begins on the PNB building. The open construction site to the left was where our store was. The PNB building itself was razed by fire earlier this year. In 1937, a small group of Sindhi businessmen decided to organize themselves into the Bombay Merchants Association and establish a social club called The Indian Club for their exclusive use. Their mission was to promote their culture and customs and consolidate their ethnic group. The Sindhi community in the Fifties wasn’t all that large so most people either knew each other or knew of each other. Loans were made to help the young man starting out or if someone had run into a bad situation. In Manila politics, it was who you knew that made the difference. Let’s face it, graft and corruption was and is the nature of everyday business so it was helpful to have many contacts in the right places. Dad continued his entrepreneurial endeavors. 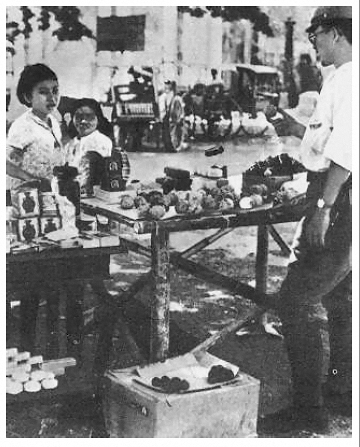 Along with the store, he also had an import/export office in Manila, another in Hong Kong and Tangiers (of all places). He offered his brother, Prem, a partnership in the store. Although married with a daughter, Prem came over from India by himself, wanting to make sure this move would work out before making a full commitment. Gopal with his brother Kishin on the right. Gopal’s brother Prem stands at the front of the store. Me and my uncle Prem. I was about 3. After a couple of very lonely years of working hard and sending money back home, Uncle Prem managed to bring his small family to Manila. Soon after, he and my dad had a falling out and Prem went his separate way. That’s the last I saw of my dear uncle because in 1959, my father passed away and all connection with the Indian side of my family was severed. One of the last photos of my dad taken in Baguio just a month before he died at age 46. Mom continued to manage our stores forming a partnership with a friend of Gopal’s, Choithram Chulani. They expanded the Gem Gift Shop to branches at the Manila Hotel, the Bayview Hotel, another along Mabini, and a fifth store in Cubao. Gem Gift Shop on Mabini. Our sales lady, Elvie, arranges stock in the Bayview store window. Mom always loved to travel, usually visiting her sisters and brother in the U.S. On one of those trips, we stopped to visit my aunt Edith in Seattle. Mom met a very nice guy by the name of Vern Feighner, an engineer working at Boeing. They hit it off and married a couple of years later. After graduating from high school in 1962, Mom and I moved to Seattle permanently – leaving the stores and our home in San Lorenzo Village for good. Mom passed away in 1973. Vern and I stayed very close until his death in 2001. I was fortunate to have two loving fathers. Mr. Chulani continued to manage the store in Cubao with his three sons and daughter. This photo is from our visit to Manila in 1969 showing Choithram and his two sons Kumar (left) and Manu (right). My son Ron, is the little guy in front. He is now 50 years old. My, how time flies. Well, that might have been the end of my story but let’s fast forward to 2008. All this time I had been curious about my Indian heritage. I worked with a few Indians at Boeing in Seattle and would ask questions about their lifestyle and customs but I just couldn’t fill in the gaps where my family was concerned. Then one day, I was on Facebook and decided to do a search on my uncle’s name, Premchand Khanchandani – just to see… Well, out popped up a small list of results but one had a photo of an older gentleman. 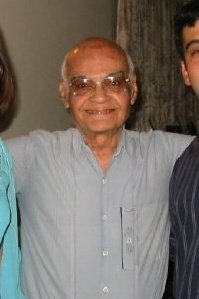 He was 88 and I didn’t want take the chance of missing my uncle again. We immediately flew to Pune (just east of Mumbai) and had the most wonderful family reunion. I also got to know all about my 5 “new” cousins. Uncle Prem, with his memories intact filled me in on our family history, their old home in Karachi, my grandparents and many other wonderful stories. Alas, he passed away a few years later but I feel so blessed to have found him in time. I also had the opportunity to see my lovely aunt Muni once again, who also passed just a few months after our visit. Sometimes, things are just meant to happen ! Perhaps my dad may have been pulling some strings up there. I hope you found my little story interesting. I meant it to be a feel good story for the Christmas holidays. As they say, Family Is Everything. I know that to be true. Gopal and son – 1950. Brought tears to my eyes. I can not believe you kept all your family photos. Hi Lou, I’m a bit puzzled about the picture of little Ron taken in the year 1969. How old was Ron then and in which year did you get married. This story has be written so well. The pictures are lovely too. I am so happy that we all found each other through your persistent effort. And everything happened just at the right time. Thanks for putting up this story on your website. Lots of love, Indra. Hi Indra, Ron was four when this picture was taken. He says he can still remember some of that trip, mainly it was hot ! Hello Lou, A big thank you for sharing your story it bring tears to my eyes, such a wonderful story. I’m always recommending this site to my friends and how amazed they are seeing old Manila and its rich history. “Feel-Good” story ?…….Absolutely ! I felt VERY good after reading this ! Good job Lou ! Una entrada maestra. Interesante, emotiva y espectacular. Una maravilla. Muchas gracias Fonso. I am pleased that you found my article interesting. I also enjoy the photos you post on Manila Nostalgia. Thank you very much for sharing with us. At first, I was entertained – great pictures, history, experiences. But nearing the end, I noticed that my tears were falling. Yes, you have touched me! Maybe, the way you showed your love for your parents, family, the people round you, the way you shared the feeling of admiration for your parents who have stuck through thick and thin. Mind you, your mom is so lovely! Looks like she had a Spanish blood? You got much of her features. Even your smile..! I felt teary the very moment you shared that your dad died at aged 46, your mom rose up to the situation of being a single parent, found a new love (whoa! that was surely hard for her to do as she seemed to have a very loving husband in her memories), and then you were blessed with another new loving father. Great indeed! Your struggle to trace your Sindhi roots is worth emulating. That could have been more or less a 50-year missing link that’s truly hard to connect! But you did it with the great inspiration of your loving wife. You’re so blessed to have her by your side! Your uncle Prem loved you a lot too despite having a fall-out with your father. Hmmm… he is such a good uncle! Your reunion truly completed the jigsaw puzzle of your life that you so wanted to at least add up to the pieces. So happy for you and your dearly beloved family!!! Thnak you also for loving your Filipino roots. I am proud of you! Thnak you for this wonderful story. You gave me myriad of emotions – from old beauty of my country, the terrors of war, the struggles in life, the wonders of love, hope lost and hope regain. BRAVO!!! Thnak you Lou! More power! Thank you for your very kind comments. Trying to sort out who I am has been difficult for me. My dad was almost always traveling – not home much and when he was, he was always working. I didn’t experience much of Sindhi culture or heritage from him. Yes my mother was Spanish/ Filipina but she also was an independent woman who worked daily as well. Hoping I would eventually study later in the U.S., she placed me in the American School from the first grade through high school. So, I was the result of an Indian, Filipino, Spanish background but basically raised as an American because of my daily involvement with my American friends – except I really wasn’t American either. I guess that’s why I continually searched for my Indian roots and I am now so very involved in stirring up my memories of old Manila. One of these days I’m going to figure out who Lou Gopal really is. Thank you for reading my blog. I hope it won’t take so long for you to find who “Lou Gopal” really is. May the odds be ever in your favor! THANK YOU, THANK YOU LOU. What a rich history! It has given me a deeper understanding of the different ethnic groups in Manila and their contribution to it’s growth. You also revealed to me, life in Manila before and after the war. What a story, complete with priceless photos too. This is one post that has such a strong impact on my psyche and made me better understand Manila, the place we all called home. Thank you again, from the bottom of my heart. You are so kind Lenee. Thank you also for your valuable contributions in Manila Nostalgia FB. You have been a most fortunate man to have found your uncle 50 years later, thereby learning to understand yourself much better. I believe as we age it becomes more and more important to find our roots, and I can never be more grateful to you for helping me to understand the life my mother and uncle had in Manila. Your story truly is a feel-good story, nevertheless, as so many others commented, it also made me cry! You have so many blessings in your life, yet still there will always be that hole in your heart losing your parents so very young. Yes, I do believe your Dad had something to do with your finding your uncle. I can see what a profound gift it was to you and your family. You are so very kind. 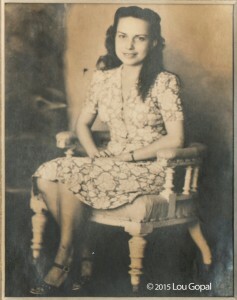 I also want to thank you Ingrid,for sharing your mother’s photographic record of Manila in the Thirties. They have proven invaluable. My very best wishes for a Merry Christmas and a great new year. I had a good fortune knowing your cousins growing up in HK in the 60s thru the 80s. Ashok and Johnny were and still are friends of mine. I too reconnected with them through FB. My own family spent sometime in Cebu until 1964 when we left for HK. 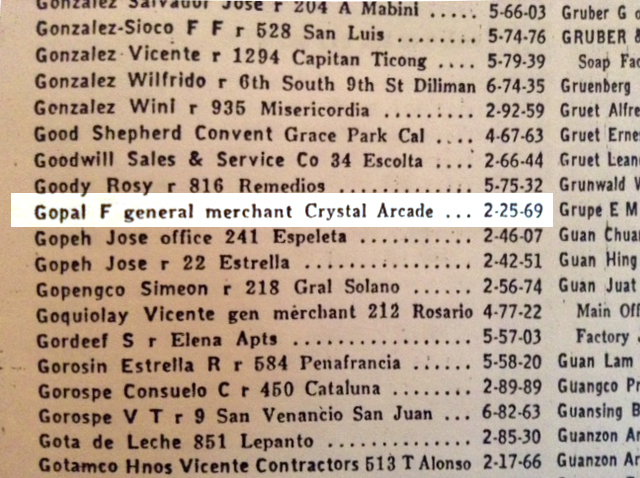 My father and his brothers ran department stores in Cebu city. 5 of my 7 siblings were born in Cebu. We are all spread out in this world but still keep in touch with each other through the magic of modern technology. How nice of you to write, Suresh. Yes, it was indeed a very happy circumstance for me to see my cousins again. I wonder if perhaps your father may have known mine. I believe he had done some business in Cebu on occasion before the war. Thank you for your comments ! This is just so heartwarming. I was holding back a hint of something welling up in my eyes but I couldn’t…. Lou, your heart just brings so much into what you write that we are privileged to read; always seeing something of ourselves in them. Thank you Isidra. I look forward to reading your story. Best wishes for a very Merry Christmas to you and your family as well !! You brought tears in my eyes this early morning in London. Yes, family indeed is everything! Thanks for sharing your story. This site is greatly appreciated! Thank you! What an amazing story. Very heart warming. Wow. I was just looking for old manila pictures until i saw your site and read the story. Bless you and thanks for sharing your story. I just stumbled upon your blog by accident and I got hooked. Hi I am also Sindhi most precisely a Khanchandani. I think we might have an ancestral connection . I want to know more about Khanchandani in world. How nice of you to write. We may indeed be related. I have Khanchandani relatives who live everywhere: Australia, United States, Hongkong, India. Where do you currently live ? Beautiful story sir.And the pictures that you kept are amazing.